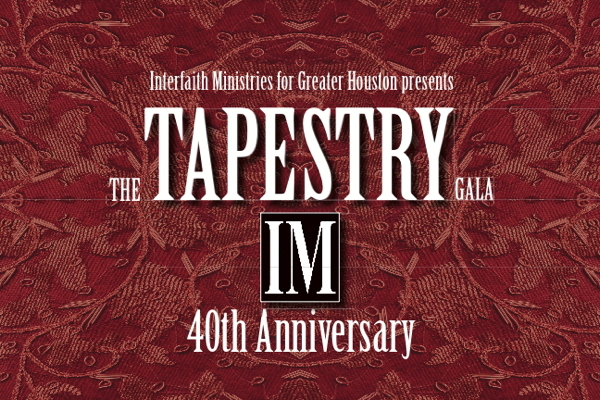 INTERFAITH MINISTRIES We approached Interfaith Ministries pitching a newspaper campaign and found that they needed a printer for their newsletter, an annual report, some way to appeal for donations, and an organizer for a fundraising gala – all within the realm of our expertise. 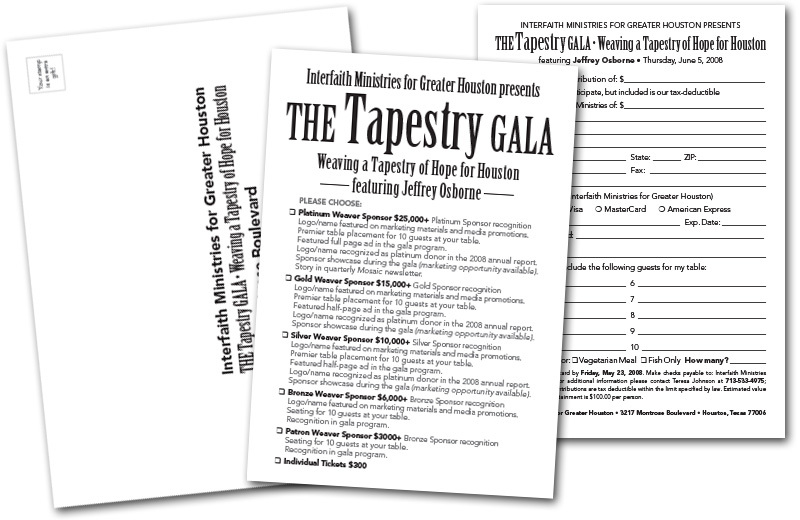 I started with the design for their annual report which was eventually sized to fit within a #10 envelope, along with the donation request form, and the RSVP for the gala. Bundling all these into one bulk mail saved Interfaith Ministries from multiple mailings throughout the season. 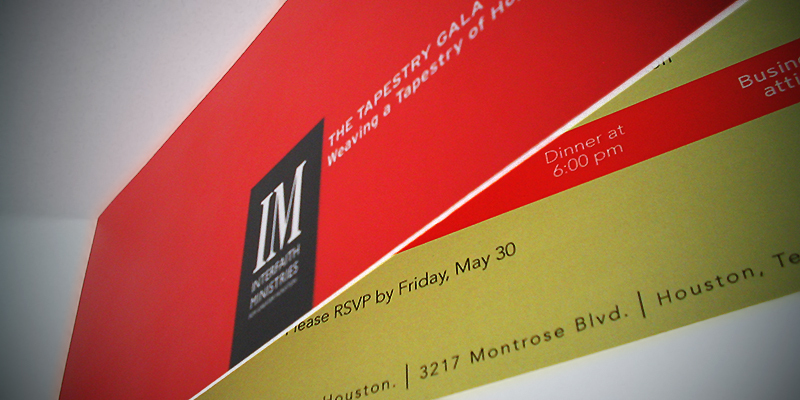 The invitation (above) was chosen to match the annual report (below) and was mailed along with the an RSVP/donation card. 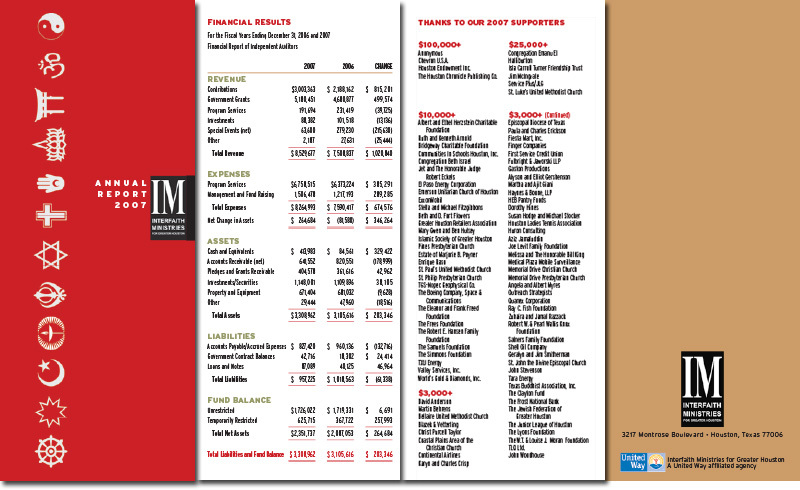 The newsprint portion of the campaign was to last throughout the year so a series of templates were created. 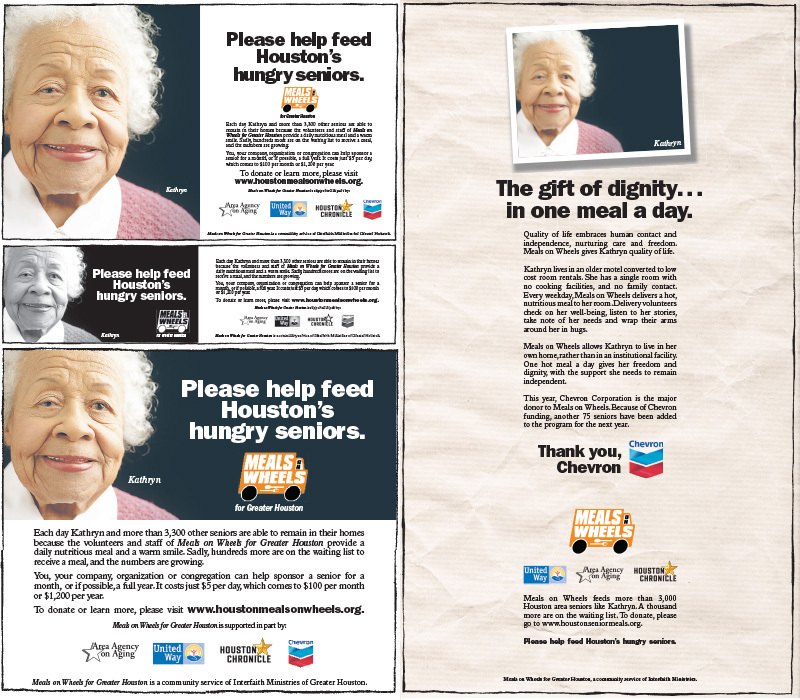 This campaign shares branding with both the Meals On Wheels program, the Houston Chronicle, and Chevron. The annual gala became a yearly event which our team acted as the event coordinator. The invitation called for an illustration of a “radio” on a postcard. While postcards are the cheapest bulk mail option, our solution the following year was to pack as much content into a single mailing. 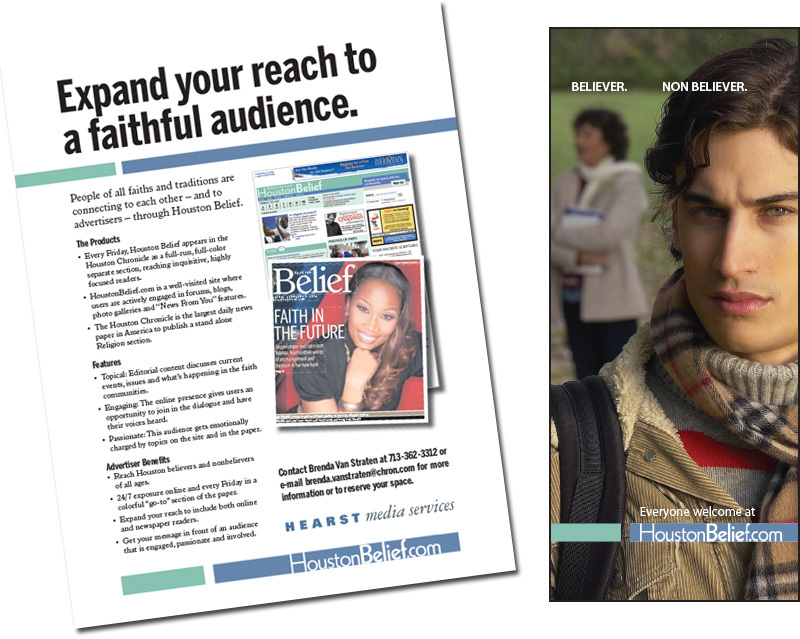 In concert with an array or email blasts, in-paper promotions, and online promotions, we also put up an outdoor sign over the print presses in downtown Houston. This initial photoshop render assumes total coverage of the viewing windows. The actual installation of the sign was smaller to cut costs and note the final design changes from the first render (above). 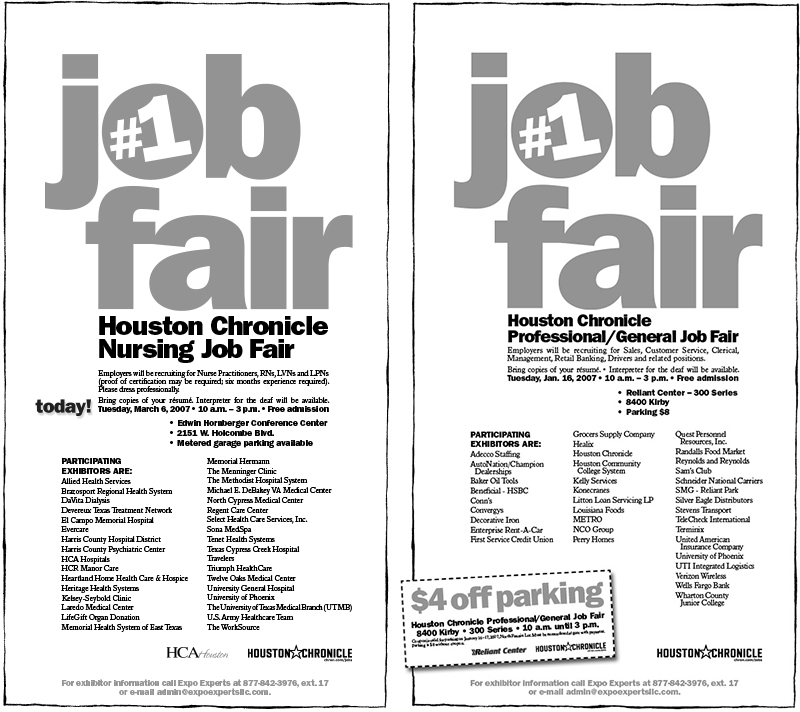 JOB FAIR The Houston Chronicle Job Fair occurred up to 12 times a year and thus had ran frequent announcements. 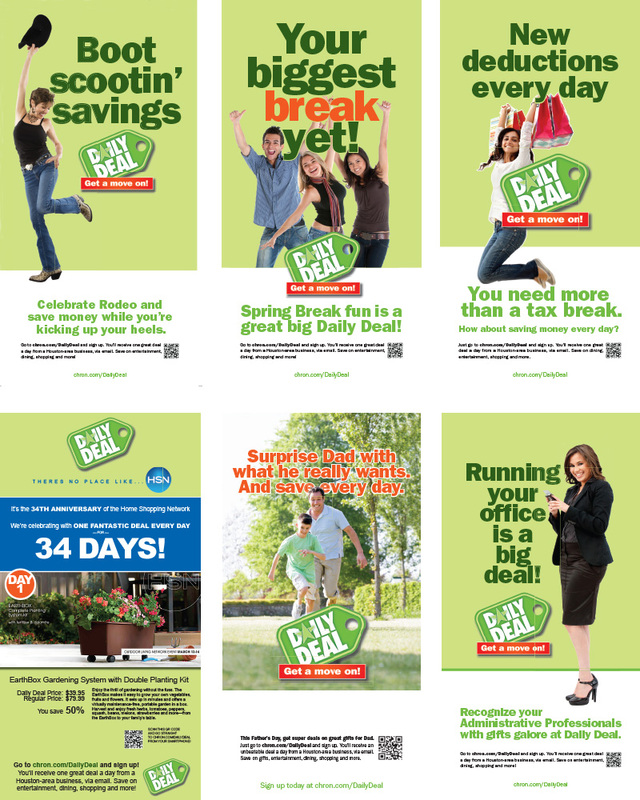 Not only were the promos printed in the Jobs section, signage, sales pieces, and booths were designed. 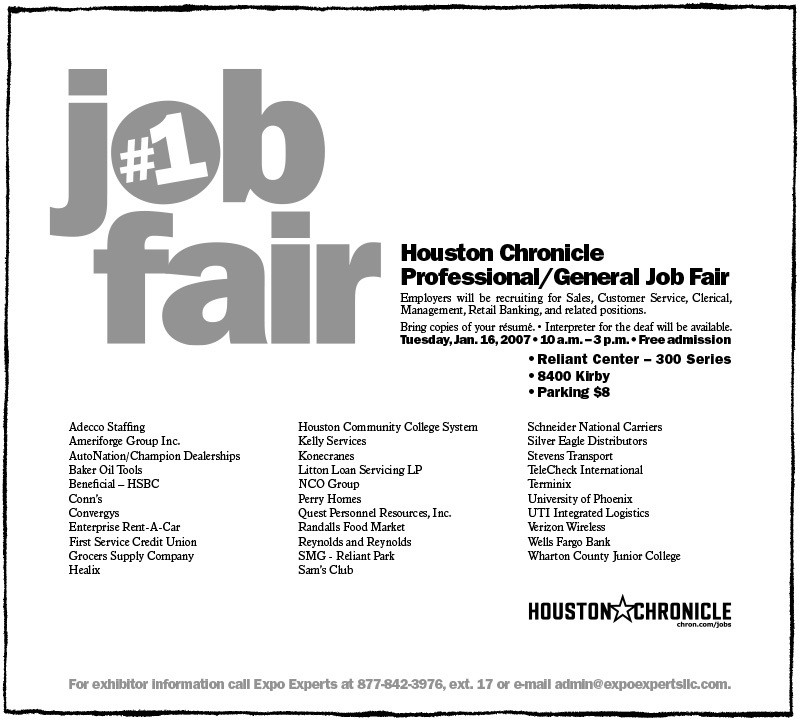 The Job Fair logo, which also acts as the arresting image, dominates the promotional print ads The headline and event information are situated high in the layout with the list of participating recruiters in column format – similar to job listings mise-en-page. 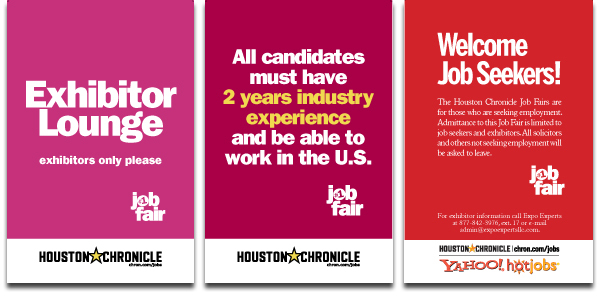 The Job Fair branding is based on the Houston Chronicle branding and my design is meant to match recruitment advertising – the “help wanted” ads. This is the same branding applied to a specific product. 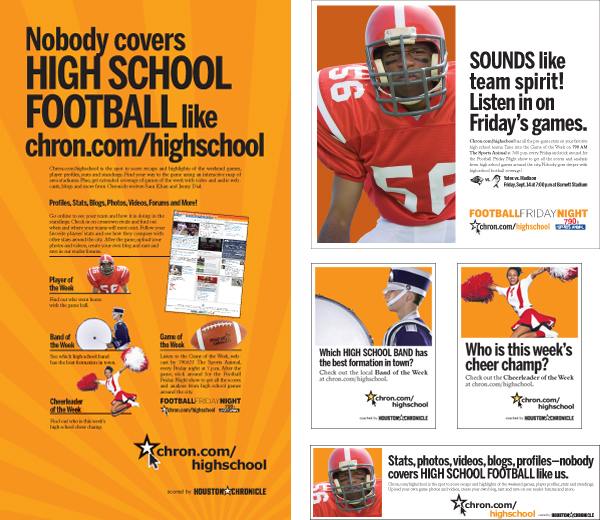 Here the Houston Chronicle was promoting the High School section both online and in print. 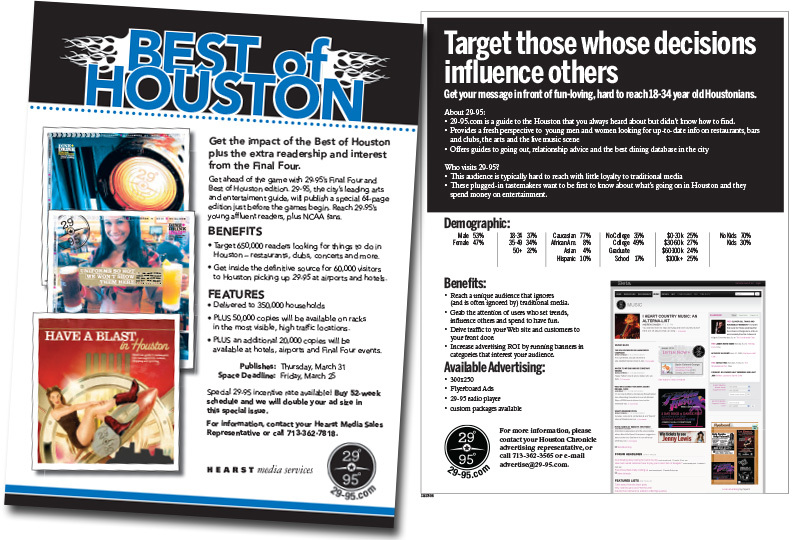 This branding was to promote the four distinct divisions of the classifieds in the Houston Chronicle. 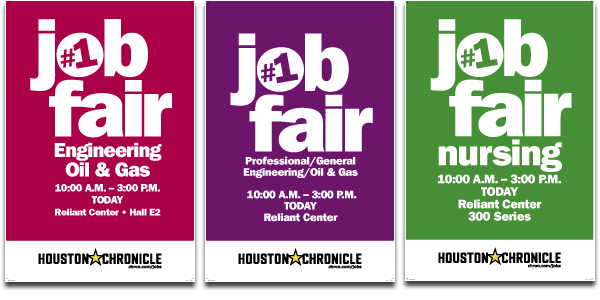 These four are for Jobs, Real Estate, Vehicles, and General Classifieds. 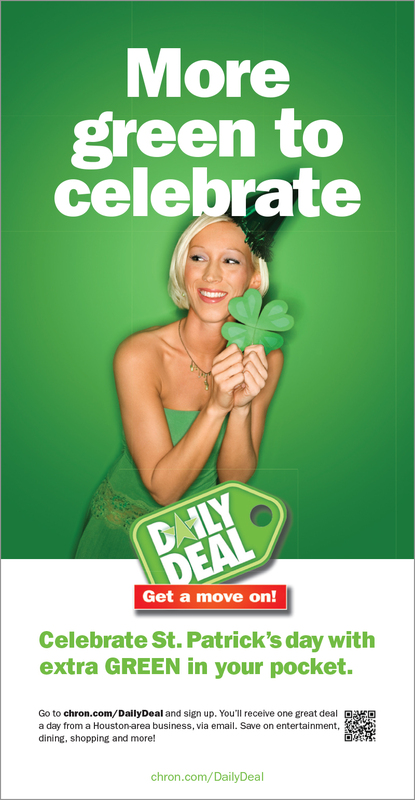 They followed the existing branding which contained copy-heavy headlines with two-toned imagery. MyNumber MyNumber is a service that provides temporary phone numbers for those using the classifieds. 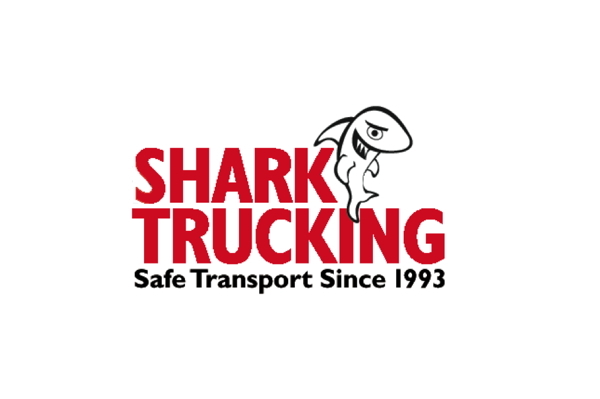 The logo is an original construction – and as often happens – needed within a few hours. This one was built in about 30 minutes and was approved for use a few hours later. The above graphic is actually an embedded graphic for email. “Splash” graphics, like other graphics shown on a screen should follow a horizontal format in a 4:3 or 16:9 ratio. Often, such graphics are simply letter-sized documents uploaded as PDFs to an email – making them awkward to read online. 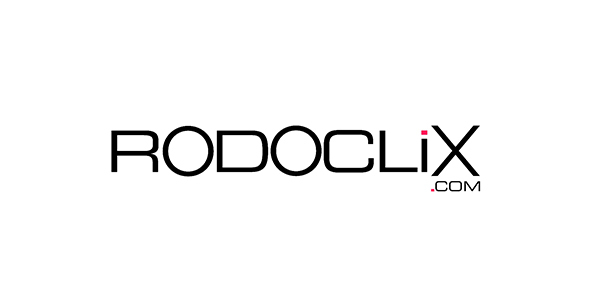 LOGOS Logos are the most recognizable element of a branding campaign. The Lee Blum Furniture example below is a page from the branding guideline I created: A series showing the branded colors, as well as a positive and a reversed logo. The typestyle is Century Handtooled – a slab serif typeface in which the “Handtooled” font is reminiscent of their solid wood furniture. The sturdy letterforms connotes quality workmanship. Note that the the initial “L” and “F” mirror each other.